Gym Motivational Quotes: Be addicted to crushing your goals. Be addicted to crushing your goals. This. I 100% believe in this. You need to be addicted to crushing your goals. You can go slow or you can go fast, but either way you must feel that urge to constantly crush your goals in order to be able to constantly move forward and progress. Make your goals your addiction and don’t stop until you’ve crushed them all. 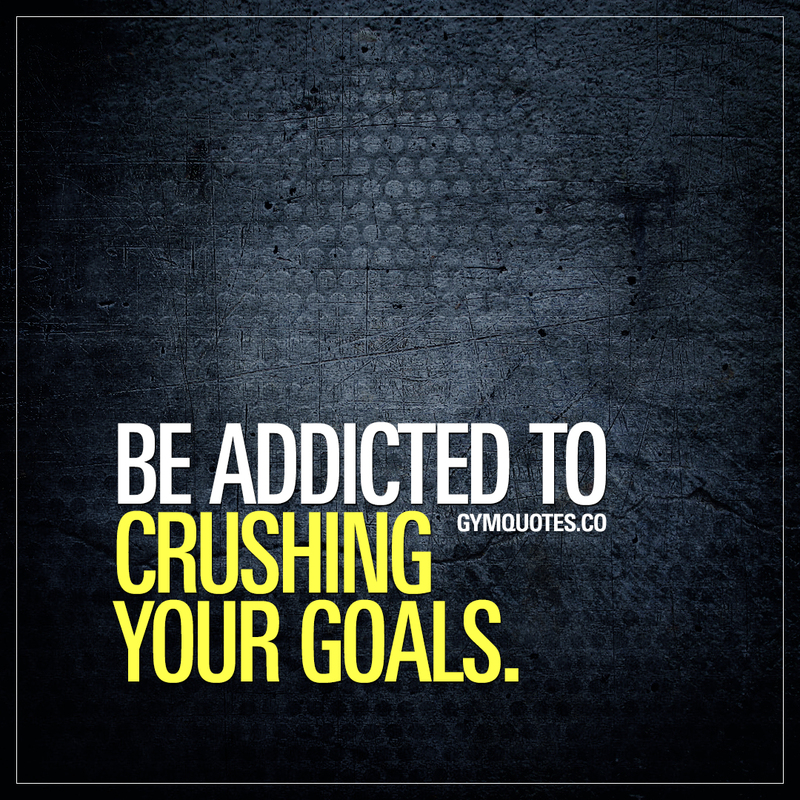 This “Be addicted to crushing your goals” quote (image and text) is copyright © Gym Quotes 2018. All rights reserved.